On Sunday, January 27, 2019, Augustine G. Wright, 97 and long time resident of Niagara Falls, New York, passed away peacefully surrounded by loved ones. Augustine was born on July 4th, 1921 in Geismar, Louisiana to the late James Green and Rene Green (Davis). Augustine Wright was a member of Mount Erie Baptist Church under reverend Bradley and Bushelon. She was employed at Mount Saint Mary’s hospital as a nurse’s aide where she cared for many until retirement. After retirement Augustine routinely traveled every summer exploring different destinations. Augustine spent most of her time and years surrounding herself with family and friends. She enjoyed traveling, socializing, reading the bible and newspaper. She had a passion for cooking and giving back to her family as well as spending time with close friends. Augustine loved to watch football, wrestling, game shows such as Family Feud and The Price is Right. Every morning she made coffee for herself and her household. Every weekday around 11 p.m. she enjoyed watching The Bold and the Beautiful and The Young and the Restless, which she called her “Stories”. During summer and late spring, she sat outdoors and relished the outside, she called it “Getting Fresh Air.” Augustine spent her last days surrounded by her loved ones always sharing her wisdom and knowledge with the younger generation. Augustine G. Wright was an astonishing, warmhearted, humorous, companionable, devoted, and inspirational person. She was loved unconditionally by many and will be truly missed by all of those whom life she touched. Augustine was the wife of the late W.D. Wright. She is survived by her brother Melvin Green (Mary). Predeceased by four siblings Algie Green, Joseph r. Green (Lemon) Sisters Janetta Green, Addie Nelson of Geismar, Louisiana and niece Laurena Jackson of Baton Rouge, Louisiana. 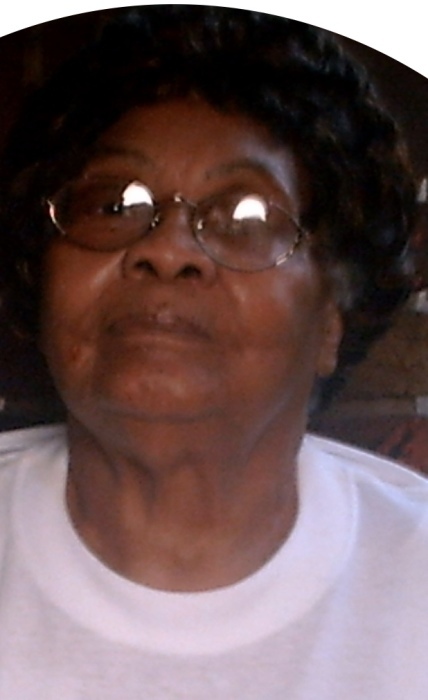 Augustine a mother of two daughters, Irene Booth (Deceased), Joyce Ferguson (James), grandmother of 8, Mark Booth, Jerome Booth of Indianapolis, Indiana, Aretha Videau (Deron deceased), Towanda Moore, Stanley Moore Jr (Hope), Desiree Moore, Octavious Ferguson and Shaquille Ferguson all of Niagara Falls,New York. She left behind many great nieces and nephews, an abundance of great grandchildren and close friend Doris McGriggs to cherish her memories. Visitation will be on Saturday from 10:00 a.m. until 12:00 Noon in the Chapel of OTTO REDANZ FUNERAL HOME, 2215 MILITARY ROAD, NIAGARA FALLS, NY, where a funeral service will be held at 12:00 Noon with Rev. Charles Searcy officiating. Interment will follow in Riverdale Cemetery. Arrangements are under the direction of Michael R. Goodlander. Please visit www.goodlandercares.com for online condolences and to order flowers.